Friday Summer and I both got three hour naps! WINNING! So we went out to dinner and I was able to stay up til 10PM! That hardly ever happens on a Friday night after a sleep deprived week. Saturday morning Summer and I hung out while Dawn went to go see some friends. 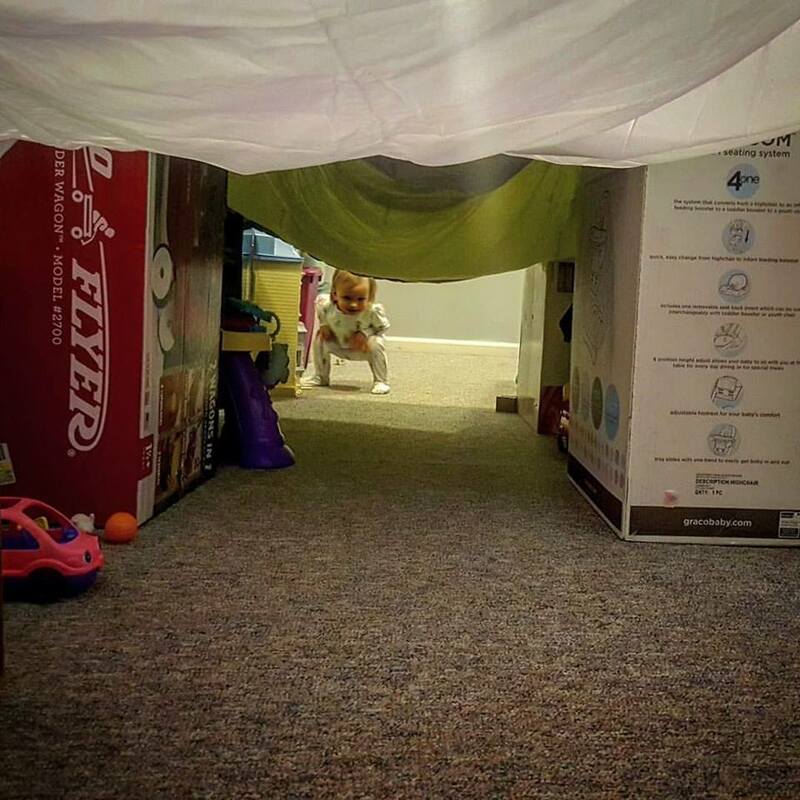 So we built a fort in the basement. Summer was entertained for only about twenty minutes... give it some time... Then we went back to Dayton and visited family and friends. Sunday we did our usual: a nice breakfast. 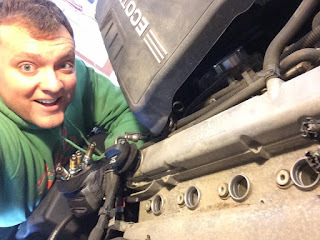 Then I changed the spark plugs in the Pontiac followed by an oil change in both vehicles. A pretty productive day! A cool couple of days to start the workweek with plenty of sunshine on the way. 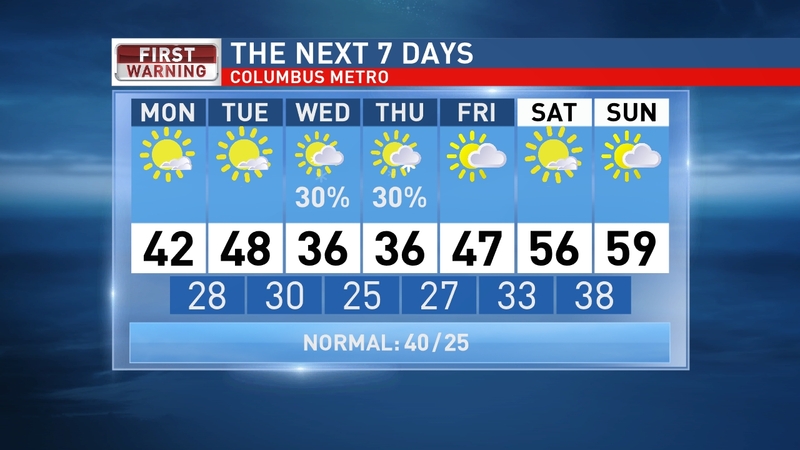 Temps cool down for Wednesday and Thursday with some flurries and light snow showers. Most of the light snow will mainly affect Northern Ohio, closer to the lakes. Temps rebound quickly for the end of the week and for next weekend.